Daniel Ochoa is a Registered Patent Agent in the firm's Intellectual Property Group. He focuses his practice on assisting clients and patent practitioners with preparing and prosecuting domestic and foreign patent applications, as well as conducting patentability assessments. Daniel's core technical experience is in the field of mechanical engineering. Prior to his career as a patent agent, Daniel worked as an intern at a precision water chiller manufacturer where he supported the development of multiple product lines and manufacturing processes. Daniel also worked as an intern developing and manufacturing a high altitude weather balloon payload for the Wisconsin Space Grant Consortium. Additionally, Daniel has design experience relating to a broad range of other technical areas, including aerodynamics, rocketry, software, electronics, and control systems. 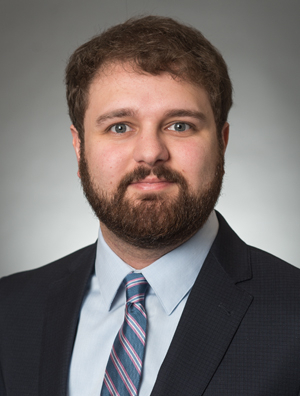 Daniel's Master's coursework at the University of Minnesota Law School included advanced training in various patent topics, including patent prosecution, application drafting, patent case law, and intellectual property portfolio management.